This piece may be used as a serving plate for fruits and cold dishes or may be hanged on the wall as a decorative item. Bottom portion is not glazed. To ensure the longevity of all hand painted ceramics hand washing is highly recommended (no harsh abrasives). 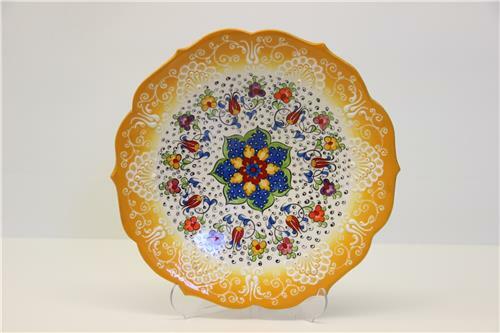 plate, high quality ceramic for home decoration with display stand or hang on wall .